Sara Bayles at an art show of her photographs. Artist and writer Sara Bayles didn’t know the act of grabbing a bag before going on a beach walk in March 2009 was going to change her life. It was mid-week and she had some spare time. 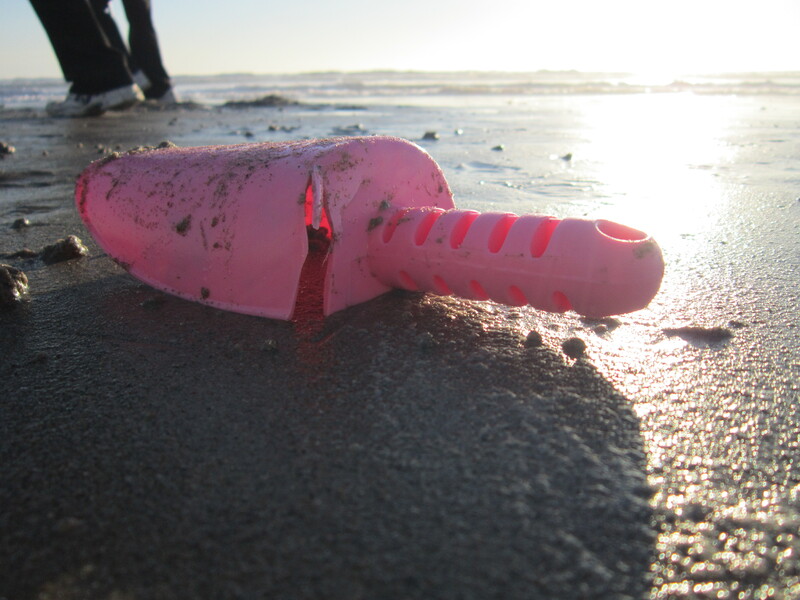 Sara had wanted to join Surfrider Foundation for one of their beach clean-ups but she always had scheduling conflicts. “The idea hit me. Why am I waiting for an organization? Why don’t I just go on a walk and pick up the garbage I see?” Sara said. When Sara went to Santa Monica beach between pier 26 and pier 28 that day six years ago, she was shocked. “I found a lot of trash,” Sara said. As an artist she wanted to use her creative abilities to let people know about what she had seen. 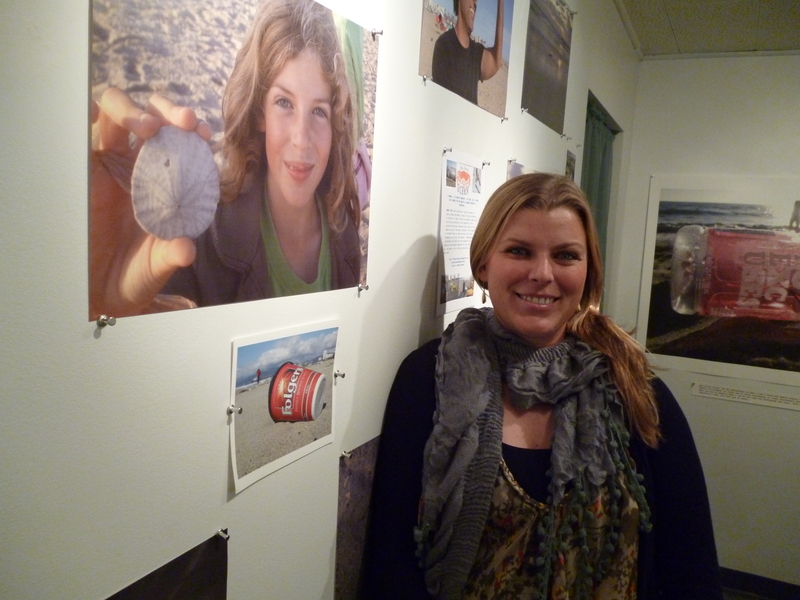 Her first idea was to do a beach clean-up every day for a year, take pictures of what she found and have a photography show at the end. 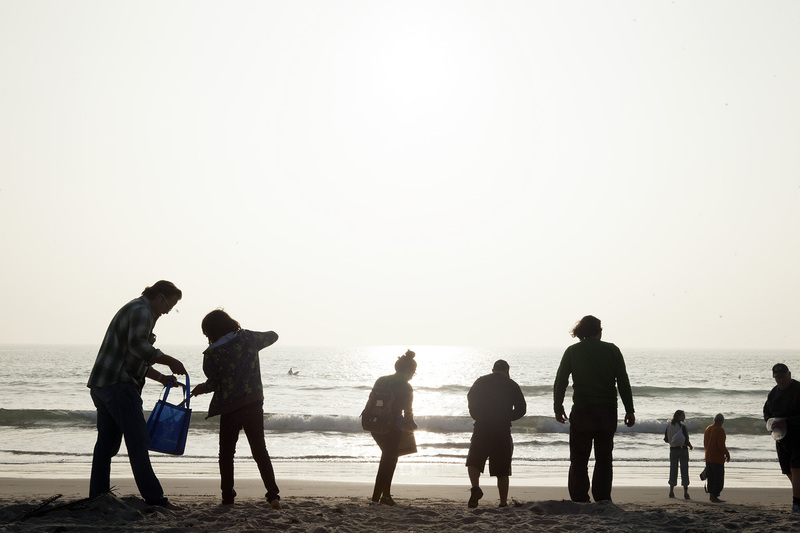 A group on a beach clean-up. Her husband, Garen Baghdasarian, a marine biologist and professor at Santa Monica College, suggested that she treat the project like a scientific field study and obtain data that could convey what she was encountering on more than a visual level. Ultimately, Sara did a little of both. She gave herself the assignment to collect whatever trash she could find in the course of 20 minutes, each day, for 365 non-consecutive days. She photographed and weighed her findings then posted the information on The Daily Ocean, a blog she created especially for the project. “I set the goal without really understanding what I was getting myself into,” Sara said. What started as a solo journey did not end that way. People on the beach took notice of the woman picking up trash. Strangers joined in. Others in places as far away as Germany and New Zealand read her blog and asked for advice on how to do their own clean-ups. Sara still marvels at how she ended up in the middle of a movement. “I went to art school. I’m not an environmental biologist. Perhaps passion educates you and when you’re doing it with integrity, then your voice has some weight to it.” she said. Six years later Sara says her idea of what can be accomplished in 20 minutes has changed. She once thought of it as two taps of the snooze button or the amount of time it takes to dry her hair. To date, by doing nearly 400 beach clean-ups, 20 minutes at a time, Sara has picked up nearly 1,400 pounds of trash. Since Sara started The Daily Ocean blog, reports have revealed there are an estimated 269 tons of plastic in the world’s oceans and approximately eight million additional tons making their way there annually. Sara photographs and weighs all the garbage she collects. 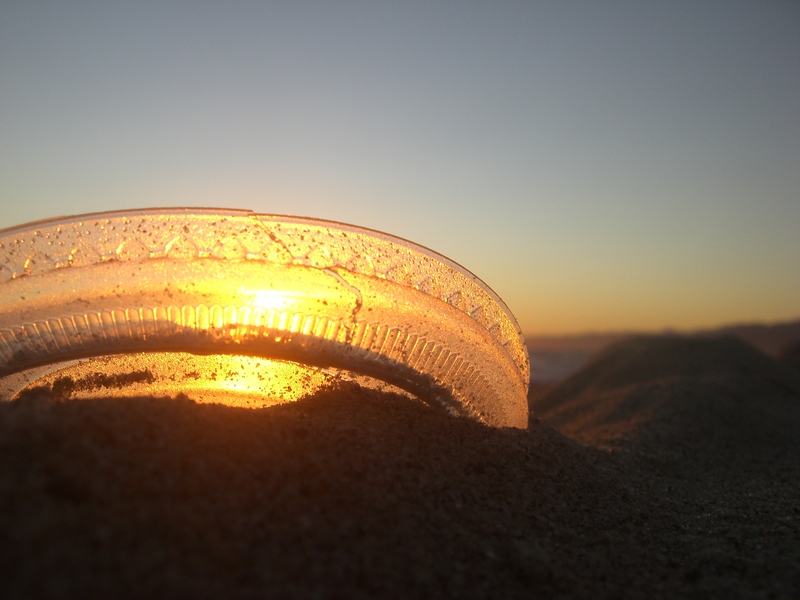 The sunset shines through a plastic lid. 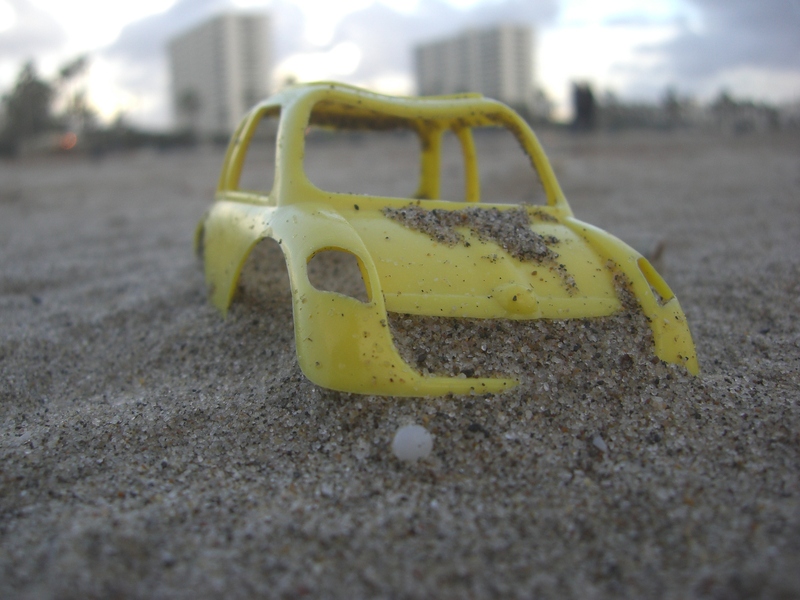 A plastic toy in the sand.